The newest home theater seat in Seatcraft's esteemed Signature line is the Baron. This chair, with its clean, sharply defined lines that create pleasing rectangular edges, has hints of a postmodern style which does not sacrifice its utility or supreme sense of relaxation. The minute you sit down against its wide backs and cushioned headrests, you'll instantly feel right at home. 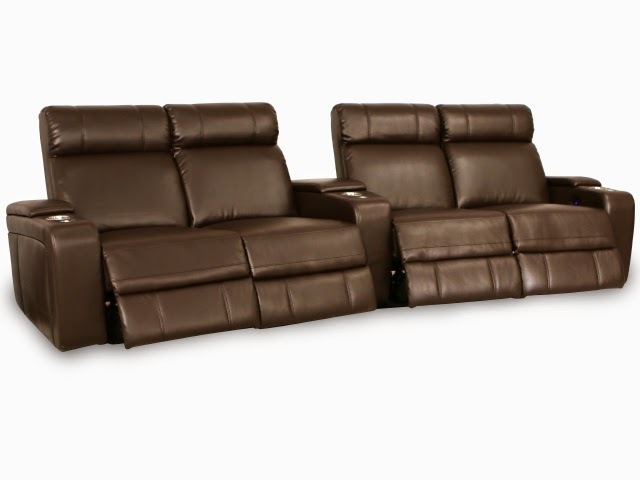 The Baron is expertly constructed with a bonded leather finish, with black or brown color options that will blend into just about any home theater setting. Black lends the seat a strong sense of polish, while brown carries a warm, earthy consistency that gently offsets the seat's contemporary design. While the upper body is pampered by a wide seat back and plush, padded headrests, a chaiselounger footrest will allow you to stretch out the legs and feet with a full buttress of comforting support underneath. These elements impart the Baron a sense of lounge chic that is as appealing to the eye as it is to the touch. The Baron's many features both aid and accent the chair in exciting ways. Included black tray tables can be used to place remotes, snacks, reading materials, or any other items you need to complete a perfect night at home in front of the screen. These trays are perfect for company--but never fear leaving a mess, because any items can be handily stored in one of the spacious compartments located inside the armrest. Cup holders keep drinks secure and close at hand, while an accessory mount on the armrest can be used to attach wine glass caddies, tablet holders, reading lights, and other deluxe options. 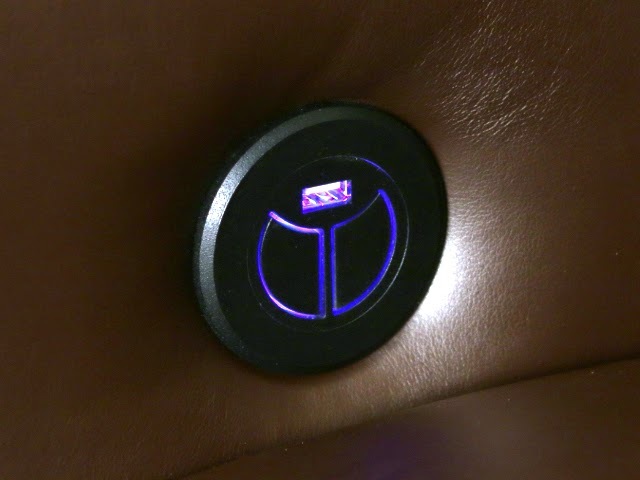 Speaking of tablets, a USB port located on the side of the armrest provides a perfect spot to charge electronic devices, which allows you to plug into the vast power of the internet without ever needing to worry about loss of battery. This home theater seat is also unique in the Signature series, in that it comes in a unique array of configurations. Standard curved rows of 2, 3, 4, and 5 are available, along with sofa and loveseat options. However, there is also a unique sofa configuration that comes in a row of 3 joined seats, with two additional seats that curve out at either the left or right end (whichever end you choose). 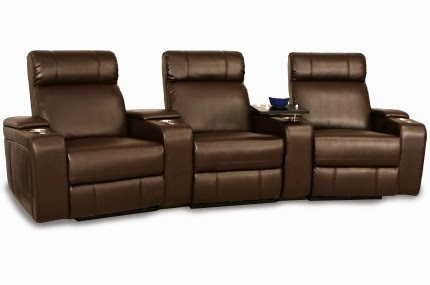 In addition, each configuration is still able to maximize space in your home theater thanks to a "wall-hugger" design that allows the Baron to sit just inches from any wall, even in full recline. We here are 4seating are excited to offer this latest state-of-the-art design from Seatcraft. With its smart design, hi-tech USB ports, tray tables, chaiselounger, unique sofa configurations and more, it's bound to become yet another popular addition to our inventory!